More than half of the global population now live in urban areas and poorly planned, rapid urbanisation will increase the exposure to natural hazards. Recent disasters, such as the Haiti earthquake, have demonstrated the particular vulnerability of city populations and the impact on the ability of governments to respond. In many cases, the armed forces are likely to be the first responders and it is essential to ensure effective co-ordination with other humanitarian actors and municipal and regional authorities. Global warming and climate change will continue to affect coastal cities with the increased likelihood of severe flooding. Cities in developed economies have well developed infra-structures reducing vulnerability. However, in less developed countries the effects of urban disasters are exacerbated by over-crowded conditions, poor construction, lack of sanitation and limited – or non existent – emergency services. It is essential to move from emergency response to better prevention, including preparedness in areas where disaster is inevitable, even if the timescale and exact location are unpredictable. 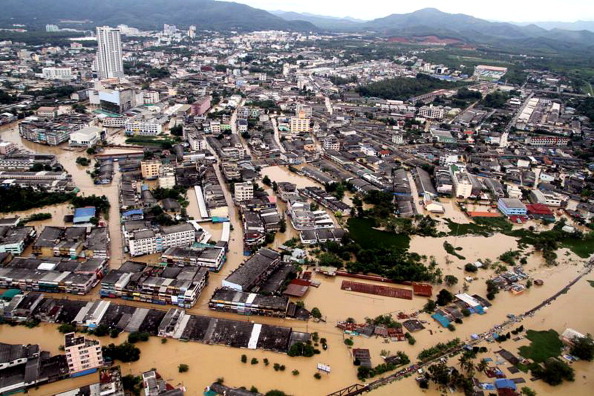 How do urban disasters differ from other humanitarian disasters? How should humanitarians adapt their response to a disaster (natural or man-made) which affects a large urban population? What specialist expertise, tools and knowledge are needed in an urban context? How can the risks and economic and social impact of a disaster be reduced through more effective risk reduction measures in urban areas? What is the role of and what are the relationships between national authorities, local government authorities, international civil society and international state-based responders in preventing, preparing for and responding to urban disasters? How prepared are civil-military-police agencies to work cooperatively before and after disaster strikes? What lessons can be learnt from recent disasters in countries and regions, including Haiti and Asian countries, which would improve the prevention, preparedness and response? What exit strategies are in place for international responders to transfer disaster management functions to national-based organisations?